Thiruvananthapuram, Nov 8: India coach Ravi Shastri heaped praise on pacer Jasprit Bumrah after India defeated New Zealand in the third and final Twenty20 International (T20I) here on Tuesday. Bumrah produced a superb performance with figures of 2/9 in his two overs as India won by six runs to clinch the three-match series 2-1. "Outstanding temperament from Bumrah. He's shown he's got all the tools of the trade. But importantly, what he's shown that he's a thinking bowler," Shastri said after the match. With heavy rain lashing the city, the start was delayed by a couple of hours and the match was reduced to an eight overs a side affair. Asked to bat first, the Indians were restricted to a manageable total of 67/5. 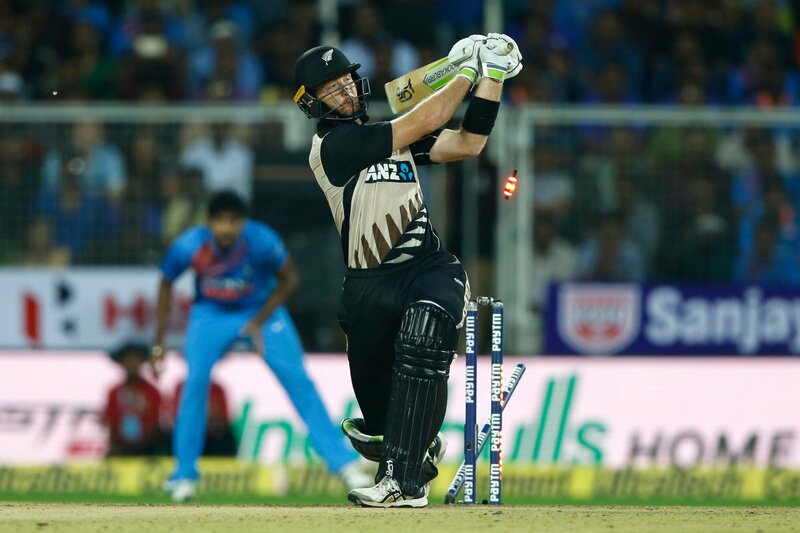 However, Buhrah led an impressive bowling effort by India as New Zealand could only manage 61/6 in their eight overs. "You'll be lying if you say you aren't tense. Such games can change in the matter of 2-3 balls. Boys saved the best for last in terms of fielding. There was electricity on the field. We thought we could defend it," Shastri said. "After we lost a couple of wickets, our aim was to get 65. By no means it's a match-winning score, but if you field well and start well, the pressure is on the opposition," he added.